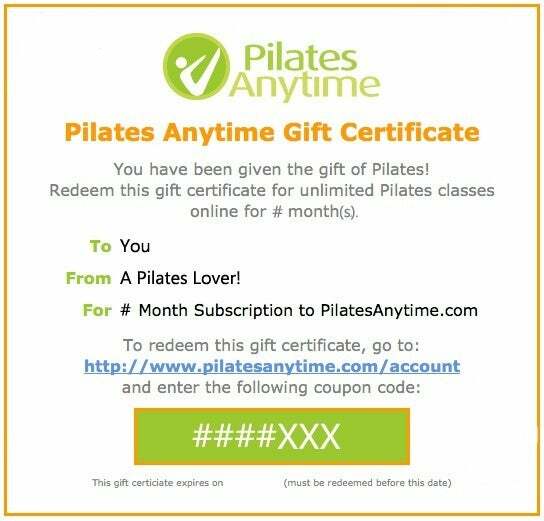 Pilates Anytime gift certificates can be delivered automatically via email, or you can print your gift certificate. At checkout, enter the recipient's email address, a message, and the date you wish the email to be sent. Immediately after purchase, you will receive an emailed gift receipt, as well as a copy of the gift certificate email when it is sent.